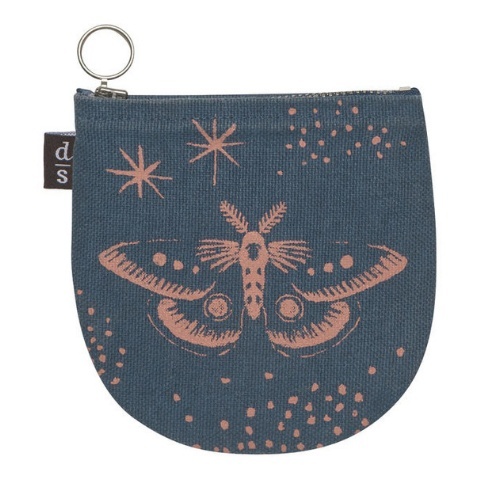 Keep loose change and cards in a handy small pouch that's easy to slip into a pocket or purse. Made from 100% cotton and a vegan leather lining, the pouch features a metal zipper to keep its contents secure. 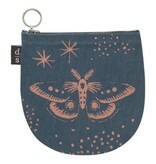 An intricate moth flutters amongst celestial curiosities. Metallic copper accents reflect against an inky blue sky, encapsulating the infinite beyond..